Pro-Ject Audio Systems is an Austrian company, founded in Vienna 20 years ago. In the late 1980s, Heinz Lichtenegger, the man behind Pro-Ject Audio Systems, noticed that the main brands of the hi-ﬁ industry no longer supported the analogue market. 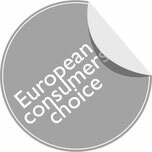 Well-established European and American companies began to raise prices for their analogue equipment. 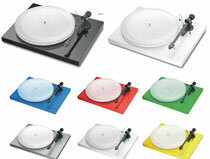 Because Heinz Lichtenegger believed in analogue music reproduction, he started Pro-Ject Audio Systems. His aim is to produce hi-ﬁ components with outstanding audiophile sound quality for the lowest price possible. Turntables must be simple to use, reasonably priced, give real good sound reproduction from vinyl and finally have to look attractive, to gain the attention of today’s music lovers. The debut turntable is perfectly matching all these criteria and therefore is by far the most successful record player these days. 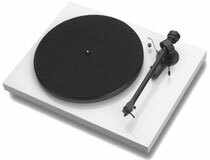 No other analogue hi-fi product was more often honoured to be a real Best-Buy, than the Pro-Ject Debut III. A real bargain with outstanding sound quality! Pro-Ject products give the best possible audio quality within their price range with long-term reliable performance. 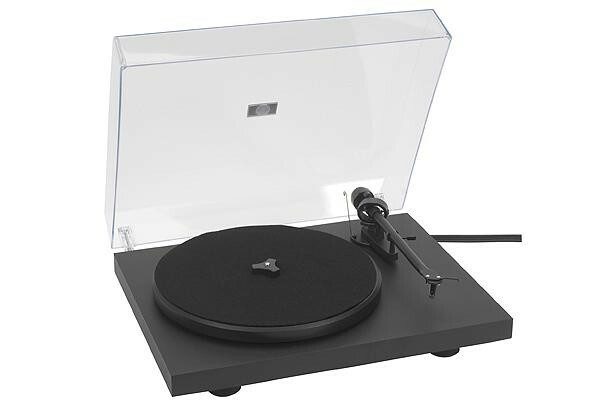 Pro-Ject is now the world’s foremost producer of analogue turntables, with a wide range of products for every standard and budget. Listening music from vinyl still is “cool”. 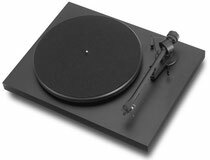 Pro-Ject Audio has provided an essential contribution to the revival of analogue audio , attracting ambitious music lovers of all ages ! "This turntable for vynil is exquisitely elegant with its primary colours of blue, red, yellow, and white, reminiscent of the De Stijl movement. A pleasure for all senses and a perfectly reproduced sound system." 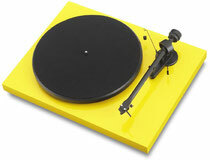 "I started to listen to my old vinyls again with this turntable. It takes two minutes to download them on mp3. Simple and enjoyable." "A really simple and delicate design for any home, especially where good taste prevails."